Laser eye treatment can be a life-changing surgery for the qualified patient. It can be a scary thought to get surgery on your eyes, but following these procedures carefully will tremendously heighten the chances of getting the results desired. Confidence is critical to reducing any fear. Knowing what you need can help diminish the fear of laser eye surgery. Visiting an ophthalmologist is the first step to understanding what route to take. Knowledge is power, and knowing what options you have can help you, and your eye doctor comes to an understanding about what you need. Laser eye surgery is usually presented as one form of treatment when they’re multiple types of eye surgeries. Selective Laser Trabeculoplasty (SLT) for instance, can be used for patients suffering from glaucoma. For vision concerns, there are a good amount of options to choose from. PRK Photorefractive keratectomy involves reshaping the cornea and is usually used for mild cases of visual problems. EpiLasik: This procedure also reshapes the cornea. The doctor would separate a thin layer of the cornea. Depending on your circumstance it can either be replaced or removed. Lasek: This form of eye surgery uses an alcohol eye solution. Afterward, a laser is then used to reshape the cornea. Of course, there is more detail that goes into each procedure that a medically qualified professional can accomplish. There are many more types of eye surgeries, some replaced with more efficient approaches, but Lasik is the most popular today. Lasik: Lasik surgery helps people with the symptoms of astigmatism. Farsighted and nearsighted patients can also benefit. Doctors create a flap on the outside layer of the cornea to reach the underlying tissue. Computer imaging is used for precise accuracy. Pregnant or breastfeeding women should wait to have laser eye surgery. Also, persons under 18 must refrain from this surgery since kids visuals tend to change. While the recovery time can be quick depending on the type of eye surgery and your condition prior, it is still imperative to determine whether right away is the right time to get surgery. So, if you have important events coming up or other obligations, it’s best to schedule for a later date. When determining if laser eye surgery is for you, your doctor’s approval is essential, but you must understand why you want it. For some, career advancement can play a big part in the decision to get eye surgery. Active careers like being a firefighter or police officer can be achievable after eye surgery. This procedure can also improve vision better than contact lenses or glasses. It is imperative to seek a medical professional to first prove you are eligible for eye surgery and choosing the best option for your needs. Each eye surgery type can vary in possible side effects. Each surgery corrects specific issues, so when determining what procedure is best for you, your doctor should go over the surgical methods. Also, when it comes to your health, it is best not to choose the cheapest assistance for your procedure. If you’re looking for a naturopath Surrey give Dr. Sarah Sjovold a call. She is experienced with everything from women’s health to allergy treatment – maybe she can help you too! As people age, the eyes slowly degrade, including the retina deep inside each eye. The retina can also be damaged through blunt trauma to the eyeball, such as from flying debris. The retina is responsible for reflecting incoming light onto the retina to form an image in people’s minds. If the retina is damaged in any way, vision is immediately hindered and warped. Implanting a retinal prosthesis can often be performed through cataract surgery to replace the old retina with a synthetic substitute. A retina implant, or intraocular retina, is a small, transparent disc with tiny threads emanating out from the edges. 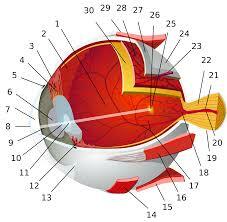 Doctors must attach the retina to your eye so it operates just like your natural retina. The attachment threads allow the retina to flex and move naturally. After recovery, patients should not notice any physical difference to their eye’s movement. Only one eye can be operated on at a time. Patients only have one eye for a week or more after the surgery. Schedule the surgery with plenty of time within the next month to recover comfortably at home. The body needs time to heal. Patients are awake during the retinal implantation, but a local anesthetic keeps the pain at bay. After dilating the pupil with medicine, doctors cut a small access hole into the eye to place key instruments. They use a small vibrating tool within the incision to effectively shatter the old retina within the eye. Doctors place a tiny vacuum instrument into the eye to gently remove the retina fragments. This removal strategy reduces the need to cut a large incision in the eye, effectively decreasing recovery time. Doctors fold the retina implant, move it into the eye and position it for permanent implantation. The threads are quickly attached to the eye and doctors close the incision. Implanting a retinal prosthesis is a unique addition to the body. Unlike a pacemaker that requires some maintenance, retina implants are essentially part of your body without any care involved after the surgery. Patients must wear an eye patch to protect the eye as it heals. After a week, the eye should focus clearly with little swelling. The doctor often calls for several visits after the surgery to watch for any possible infection. A retina implantation surgery makes the world come alive with clear vision. If a patient suffers from poor vision for many years, a clear view is an ultimate gift. Because the surgery is relatively simple, patients are not required to stay in a hospital. It is strictly an out-patient procedure that can be finished in one or two hours’ time. Consult an eye care doctor near you so that you can find the best solution for declining vision. By doing this you will be able to have a clear vision again and be able to enjoy the rest of your life. Try to get a retina implant now and you will never regret. Be sure to show some love to our sponsors for today: http://networkninjas.co! Retinal detachment is a condition that can create in numerous individuals from varying backgrounds, and is a genuine disease that can bring about serious loss of vision when not treated quickly. All things considered, there are a few brilliant treatment strategies accessible today which can adequately manage the issue if move is made quickly. These distinctive strategies all fall under the umbrella of retinal detachment medical procedure, and incorporate vitrectomy, pneumatic retinopexy and scleral clasping. Moreover, laser eye medical procedure or cryopexy can be performed to repair little tears in the retina. These diverse treatment choices are accessible relying upon the sort of retinal detachment that the individual is experiencing and what will be the most effective technique to stop movement of the condition and hold as high a level of vision as would be prudent. A few of these medicines – including cryopexy, pneumatic retinopexy and laser eye medical procedure – can be finished in the workplace of the eye master and there is no requirement for medical procedure. Then again, vitrectomy and scleral clasping treatment are both out patient strategies that happen under nearby soporific. These distinctive medications are pretty much effective at ending the further advancement of the condition, repairing parts of the harmed retina and keeping up a decent level of vision for the patient. Pneumatic retinopexy – which works by embeddings a gas rise into the eye to push the retina luck run dry of the eye – is the slightest fruitful measurably than other two types of neighborhood sedative medical procedure said above. When all is said in done, this gloats a rate of 75%, despite the fact that this is in no way, shape or form a low achievement rate. Much of the time where this neglects to function and additionally it s should, there is some accuse that lies with the patient. This is on the grounds that there are a few prerequisites with respect to the situating of the head after the treatment has occurred. These can be hard to comply with, yet they are significant all together for the patient to make an expedient recuperation. In different cases whether this kind of treatment has been done, new tears can happen in the retina. In all the above cases, a subsequent surgery, for example, vitrectomy can be profoundly fruitful in reattaching the retina if the pneumatic retinopexy comes up short. supplanted normally by the eye as it refills with liquid. In spite of the fact that the achievement rate is high, the result at last relies upon how serious the condition was before it was dealt with. Scleral clasp treatment works diverse by joining a bit of silicone to the outside of the eye, which at that point pushes the retinaand the eye divider together. Like vitrectomy, this has a 90% achievement rate, improving it one of the choices, especially for those whose condition can’t be dealt with by insignificant laser medical procedure or pneumatic retinopexy. With everything taken into account, in any case, the result will set aside some opportunity to measure exactly. Numerous patients who have experienced the strategies laid out above have noticed that their vision can fall apart further a while after the medical procedure, at which time they will require another vision revision remedy. How great the patient’s visual perception is will for the most part rely upon how quickly the condition has been distinguished and how rapidly specialists could treat it. In the event that the patient’s vision was moderately great before the condition created, there are higher odds of vision as yet being great post-technique. Yorkshire College Planning – it’s college planning made simple!